SKF NOTE: A snippet from Jim Clash’s four-part interview with Ginger Baker for Forbes magazine. Jim Clash: You are a jazz drummer at heart. Name some of the greats who you have met and/or played with. 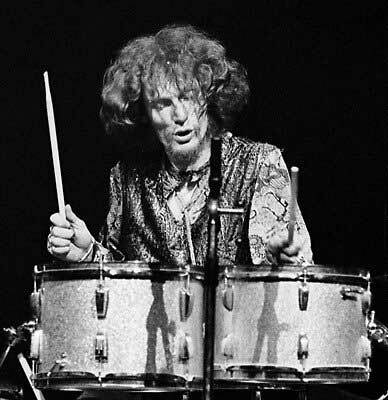 Ginger Baker: I’ve played with Art Blakey, a totally unrehearsed thing in Munich in 1972. I’ve played with Elvin Jones. One of the nicest compliments I’ve ever had was from “Philly” Joe Jones when he heard me play. He said, “Man, you tell a story.” There was also playing in Nigeria and getting the whole audience on their feet! JC: I know people here in America who consider you the best of all time. This entry was posted in Drum/Music News and tagged Drummer, Forbes, Ginger Baker, Jim Clash, Philly Joe Jones, Scott K Fish. Bookmark the permalink.